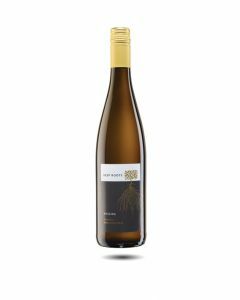 Thanks to the warm 2017 vintage, this wine has a full expression of Riesling with lovely fresh aromas of citrus fruit, blossom and pears. Created by three young, talented winemakers in the Rheinhessen, including our friend Jochen Dreissigacker, the grapes are fermented in stainless steel tanks at low temperatures for three weeks and then aged for several months before bottling. Pure and fine on the palate, the 2017 has ripe fruit and great acidity that gives the wine good balance and structure. A very versatile wine which goes with light goods, salads and seafoods; a great favourite of ours also as an aperitif. Jochen Dreissigacker has become a driving force in the quality revolution in the Rheinhessen and like his mentor, Klaus Peter Keller, his rise to fame and quality has been impressive, especially for the dry, pure Rieslings that he makes. Working with the mineral elements in the vineyard, the local climate and Germany’s greatest grape variety, his wines have great drive and acidity. Although the vineyards were hit by hail in August, the remaining harvest was excellent, with picking starting very early in the beginning of September. This wine has great balance between ripe fruit and acidity, lovely aromas of peaches and peachstones, fine concentration on the palate and lovely structure. A wine that is drinking well now but will keep for several years.